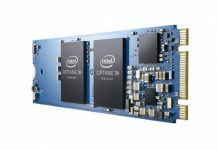 Plextor today unveiled its new top SSD models.Under the family name M9Pe, three memories follow the succession of the M8Pe series, bringing with them significantly improved performance data.Written at 3200 MB / s, read runs at 2100 MB / s.
When it comes to SSDs, all providers currently have to compete with the industry leader Samsung and its models. 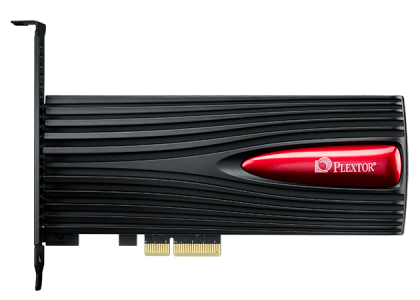 With the M9Pe series, Plextor has unveiled its top models for the coming months, which are approximately on par with the Samsung SSD 960 Evo in terms of performance. Since Plextor currently does not provide any Euro travel on the product pages, it will only have to be shown here whether the manufacturer can score the price. As with the previous series of M9Pe memory is offered according to Computer Base in three variants. The top model M9PeY comes in the form of a PCIe plug-in card and is equipped with a cooler and RGB light. Then join the two M.2 module M9PeG and M9PeGN, the latter comes without cooling. As usual, all models are offered with capacities of 256 GB, 512 GB, and 1024 GB, the performance data remain the same for all variants. The M9Pe starts at $ 112 for the M.2 module with 256 GB without a cooler. The most expensive variant M9PeY with 1024 GB of storage space is offered with 462 US dollar. Instead of 2D-MLC-NAND as in the previous series, the new Plextor M9Pe memory contains new Toshiba 3D-TLC-NAND (BiCS3-Flash with 64 layers). Compared to the last generation, this represents a significant leap in performance. 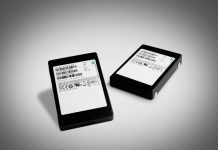 From 2500MB / s readable with the M8Pe series, the number jumps to 3200MB / s in the new models and 1400MB / s to write speeds up to 2100MB / s – as usual. However, these rates only apply up to the limit of the pseudo-SLC cache. 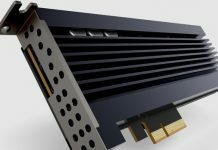 It had already become known in advance that the M9Pe will be based on the same controller as the predecessor – so here again the Marvell 88SS1093 is in use, which has three CPU cores and eight NAND channels and PCIe 3.0 x4 as an interface as well as NVMe 1.1 as a protocol uses. The power-saving mode L1.2 is also on board. As before, Plextor grants a 5-year guarantee, but the guaranteed minimum shelf life (TBW) is significantly reduced.